Fluicell AB (publ), today announces the completion of important milestone in the development of its innovative bioprinter platform Biopixlar®. Based on the instrument’s technical specifications and component selection, the company can today release the final product design. 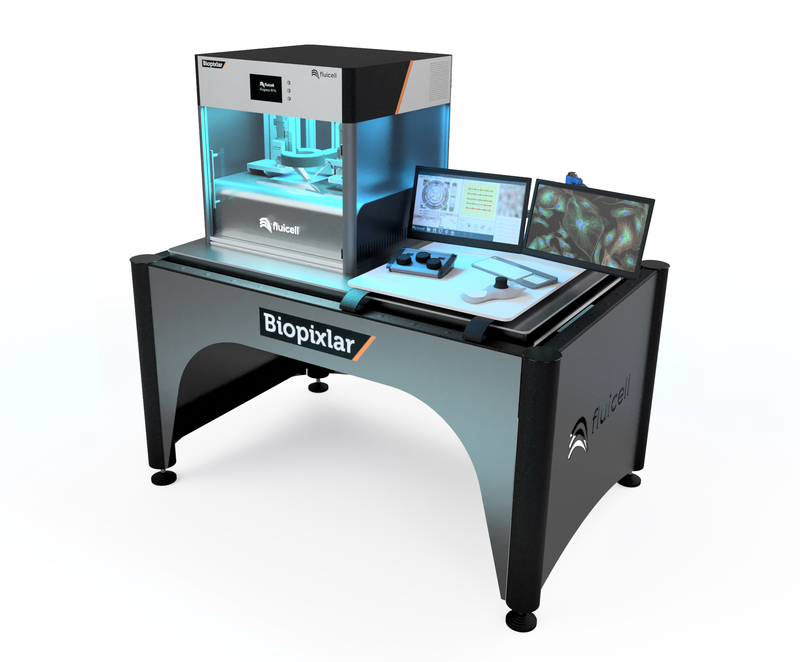 Biopixlar is a fully integrated, high resolution bioprinter concept, which is captured in the instrument design. With its open platform architecture, developed with the help of internationally leading experts, Biopixlar will be able to be incorporated into a variety of workflows in a multitude of research environments. “We are very proud and pleased to have reached an important milestone in the product development of Biopixlar. Our collaboration with Science Mosaic is progressing extremely well and on target. We are now looking forward to transitioning to the next stage of product development, “says Gavin Jeffries CTO. The Biopixlar is planned to be launched in 2019 and the company is now establishing the market launch and sales strategies. Fluicell is following its recruitment and strategic partnerships plan, with continued expansion within application development, especially in cancer and drug development. The company has already generated significant results in the bioprinting of human tumor cells which will be submitted to a leading scientific journal for publication.